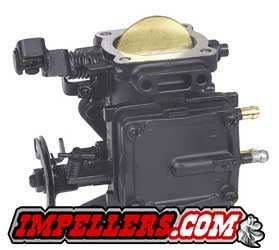 Carburetor Rebuild Kit Comes with diaphragms, gaskets and hardware to rebuild carb. does not come with needle and seat. If you are not sure what size Carburetor you have you can measure the ID of bottom of carb. # 12-1451 Fits Mikuni Carburetor BN i-series 44/46 Yamaha models (Yamaha powervalve engines) 60T, 66E-66V, 67X-14301-03-00 67X-14302-03-00 67X-14303-03-00 , 68N-14301-02-00 68N-14302-02-00 68N-14303-02-00. Yamaha 99-05 GP800 GP800R XL800 01XLT800 XL1200 99-00 XLT1200 and GP1200R and Sea Doo 00-02 XP, RX, GTX and ALL 951/950 engines. # 12-1127 Keihin CDK-II type carbs, 38/40/42mm (Does not fit CV carbs). Kawasaki 440SX 91-92, 550SX 91-95 650SX X2 SC TS SS ST STS STX 750 98, 750SX 92-95 SXI 95 XI XIR ZXI750 STX900 97-98, ZXI900 , STX1100 97, ZXI1100. POLARIS: Fredom, Hurricane SL700 SLH700 SLT700 SLTH700 Virage 700 Octane SL900 SL1050 SLTX 1050 SLX 1050 SLXH 1050 Genisis 1200 Pro SLX 1200 Virage TX. #12-1129 Keihin CV carburetors. STS900 01-02, STX900 99-06, STX 1100 98-99, ZXI1100 98-03 STX-R 02-05, Ultra 150 99-05.